Fiona McIlroy is a contributing author to best-selling book titled: Path to Wellness, Heart to Heart series, published by Soul Space. 2015. The book contains inspiring stories from thought leaders including the authors of 'The Secret'. You can purchase a copy of Heart to Heart: The Path to Wellness by following the links below for Ebook or Paper-Back formats. Alternatively contact Fiona Mcilroy to order your paper-back copy directly. 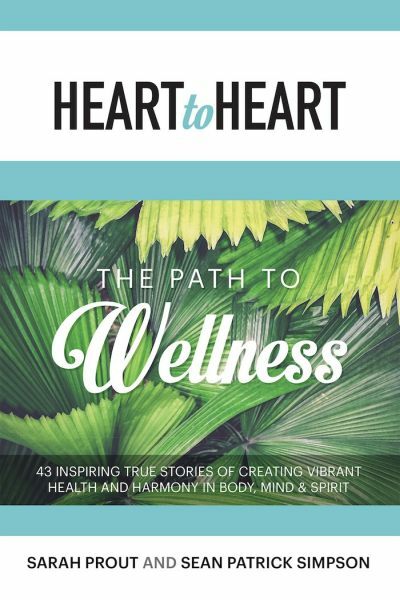 "Heart to Heart: The Path to Wellness is an extraordinary collection of true-life experiences written from the hearts and minds of more than 40 inspiring authors. We created this book because we know there are many journeys for the mind, body, and spirit, and so many life lessons for us to explore, heal, and grow from. Whether you're facing illness, nursing a broken heart, or battling demons from the past and wish to light the way to a brighter future, this book will illuminate your path and inspire you with the understanding that anything is possible."